On the 23-24 of March 2016, the 38th Session Joint ECE/FAO Working Party on Forest Statistics, Economics and Management took place in Geneva at the Palais des Nations. 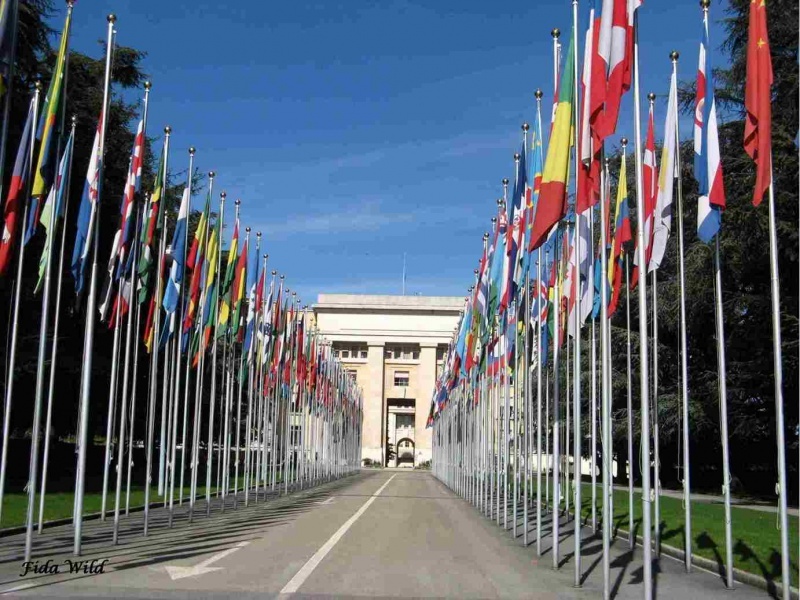 The EOS Secretariat attended the meeting together with delegates of most countries from the UNECE region (which includes North America, Europe and the Commonwealth of Independent States). Delegations from the European Environment agency, from FAO, the United Nations Framework Convention on Climate Change, and from Forest Europe also attended the session. During the session, an update on the 2030 Agenda for Sustainable Development was provided. Ms Tiina Luige, Chief of the Environment and Multi-domain Section of the UNECE Statistical Division updated the Working Party on the latest developments related to the Agenda 2030 with focus on the monitoring and review system of Sustainable Development Goals (SDGs), as relevant to forests and forest sector. Forests cover 30 per cent of the Earth’s surface and in addition to providing food security and shelter, forests are fundamental to combating climate change, protecting biodiversity and the homes of the indigenous population. Thirteen million hectares of forests are being lost every year while the persistent degradation of drylands has led to the desertification of 3.6 billion hectares. The SDGs are seventeen, and three of them are relevant to the forest sector. Goal 2 is about ending hunger, achieving food security and improved nutrition, and promoting sustainable agriculture. Goal 6 is about ensuring access to water and sanitation for all. However, the most relevant SDG for forests is definitely goal 15, which is about sustainable forest management, combating desertification, halting and reversing land degradation, halting biodiversity loss. Ms Luige stressed that capacity building efforts to improve data availability and analysis will be a key factor for making the process review effective. Another important activity which took place during the session was the discussion on data, monitoring, and assessment on forests. Ms Sheila Ward, Deputy Leader of the Team of Specialists (ToS) on Forest Product Statistics, presented the results of the Team of Specialists meeting on 22 March 2016. The Team of specialists had decided to continue reviewing the fibreboard classification, seek to improve the definition of chips and particles, reduce the pulp and paper categories and keep under consideration the calculation of roundwood and sawnwood equivalent for summing total consumption. The ToS had endorsed the list of changes for HS2022, particularly supporting the engineered wood products and briquettes. The ToS had approved the use of pulp analysis in basic validation. A representative of industry had described the increasing difficulty of separating plywood by coniferous and non-coniferous wood. The Working Party delegates expressed their appreciation for the work of the ToS and encouraged continued efforts to improve forests statistics.